More than a quarter of the electricity generated in Scotland last year was produced from wind, hydro and other renewable sources. Official figures showed the amount of renewable power increased by a fifth, while the total power generated in Scotland went up by 3%. Scotland exported nearly a quarter of the total power produced. Domestic demand for electricity continued to fall - down by 4% in 2009 and down by 10% between 2005 and 2009. Britain saw the same level of decline over those four years, but Scotland continues to have higher energy use. Electricity demand per meter was significantly above average in the north of Scotland, but below average across most of the central belt and Ayrshire. The pattern partly reflects access to gas heating, with much of northern Scotland off the gas grid. Scottish gas consumption per meter was the highest in Britain, but both Scottish and British consumption fell by 19% between 2005 and 2009. The fall in energy use across Britain is at least partly explained by the economic downturn. Roseanna Cunningham, the environment and climate change minister, commented: "As Scotland faces a white Christmas, we are greening up our energy supply. "Scotland is blessed with abundant natural energy sources, particularly in our seas, and today's figures follow a steady trend towards Scotland's energy becoming greener and cleaner". She said 2010 had also been a "tremendous year" for the renewable power sector, with more wind power developments in the planning and construction pipeline. 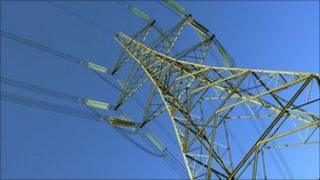 She said Scotland was on course to meet its 2011 target of sourcing 31% of its electricity from renewable sources. The Scottish government recently uprated its targets to hit 80% by 2020. Jenny Hogan, director of policy for industry body Scottish Renewables, said: "Scotland's renewables industry has grown faster and further than anyone dared to hope even a few years ago. "These figures from last year show that the production of renewable energy in Scotland continues to increase and supersede our expectations". Other findings from more recent data, which was published by the UK government, show how energy prices have risen in the past year. Across the UK, unleaded petrol was up by 13.5 pence per litre to 121.7 pence this month - a record high. The average litre of diesel was up 16.4 pence in the year, to 125.8 pence. By last month, the UK ranked fifth most expensive across the European Union for petrol, and the most expensive for diesel. Household electricity energy bills fell, on average, by £26 compared with 2009, while gas bills fell by £35. Pressure on energy utilities to change their charging practices for poorer customers meant that average pre-payment gas bills across Britain fell by £58. From January to June this year, domestic prices were the lowest in western Europe and gas prices were the fourth lowest.